Summer Rolls w/ Kimchi Fried Rice — Happy Food Co.
RINSE and drain shrimp under cold water in colander. HEAT 1/3 of the sesame oil in a medium skillet over medium heat. ADD shrimp and cook 3-5 minutes or until shrimp turns pink. 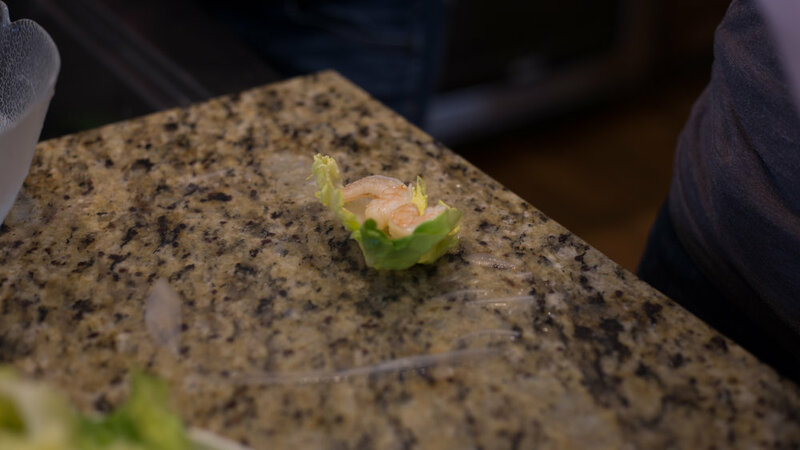 Remove from heat and place cooked shrimp in a small bowl. HEAT another 1/3 of the sesame oil over medium heat in same skillet. ADD soba noodles and sauté until softened and oil is absorbed, a few minutes. 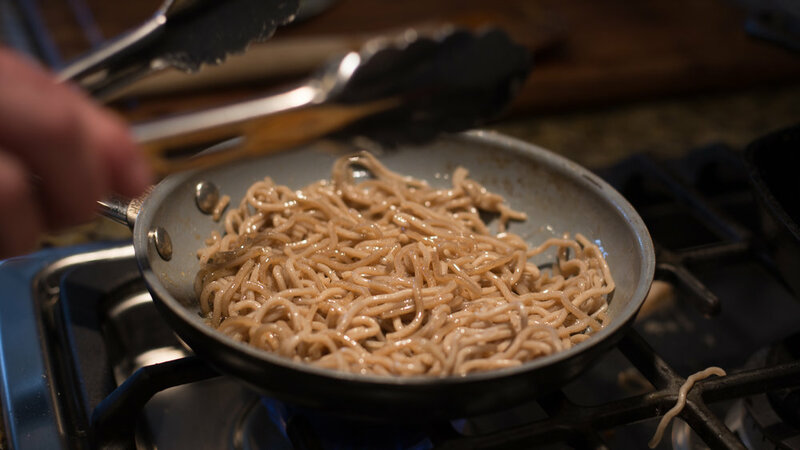 Remove from heat and place sautéed noodles in another small bowl. 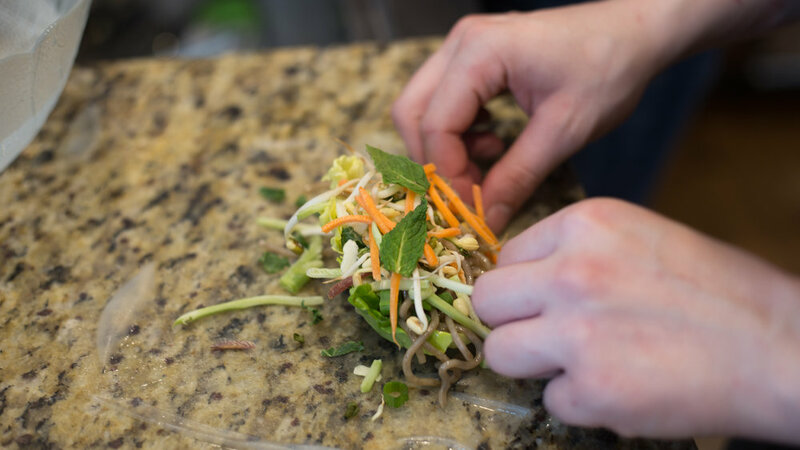 CLEAR a surface to work and place the remaining summer roll ingredients in separate small bowls as needed: broccoli slaw, carrots and mint leaves. FILL large bowl with hot water. One at a time, submerge rice paper rounds in hot water to soften. (Replace water as needed when it begins to cool). 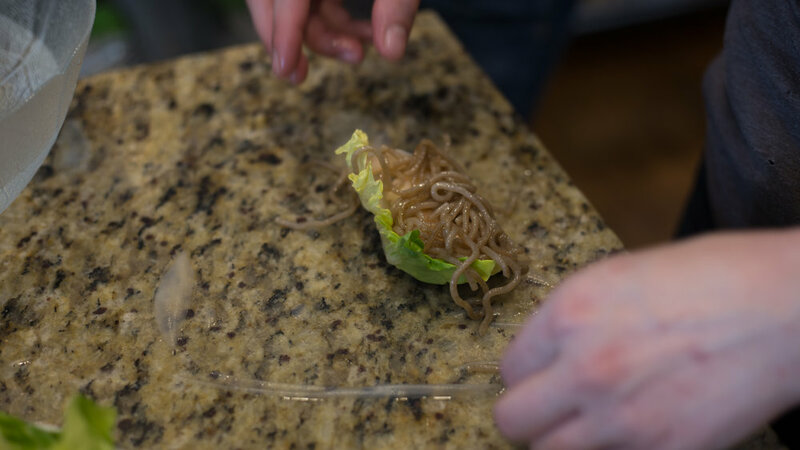 LAY softened rice paper on work surface and layer with summer roll ingredients (be careful not to overfill): bibb lettuce (stalk or core removed), 2 cooked shrimp, sautéed soba noodles, green onion, bean sprouts, broccoli slaw, carrots and 2 mint leaves. 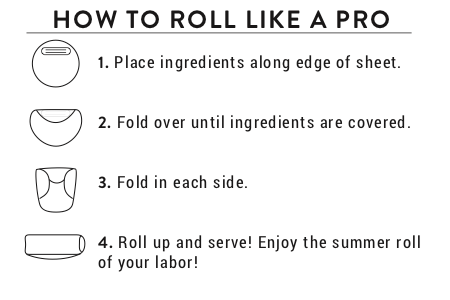 WRAP rice paper like a burrito, folding both edges in and rolling over ingredients tightly (see diagram). 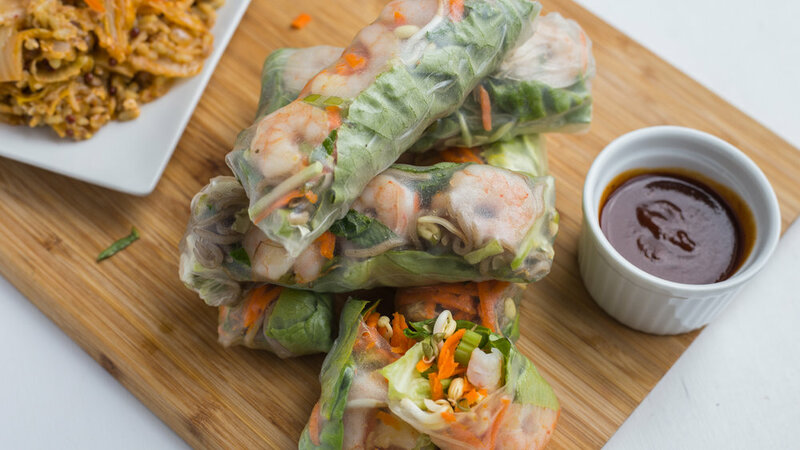 Place summer roll on platter. Make remaining summer rolls (16 total). 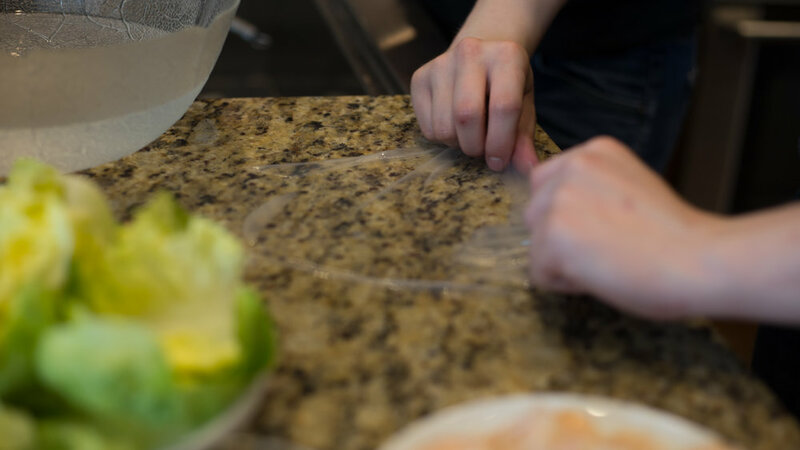 COVER summer rolls with plastic wrap until ready to serve. BOIL 1 cup of water in small saucepan. Add jasmine rice blend, cover with lid and turn heat to low. Cook rice until water is absorbed, about 7-9 minutes. MELT butter balls in large skillet over medium-high heat. 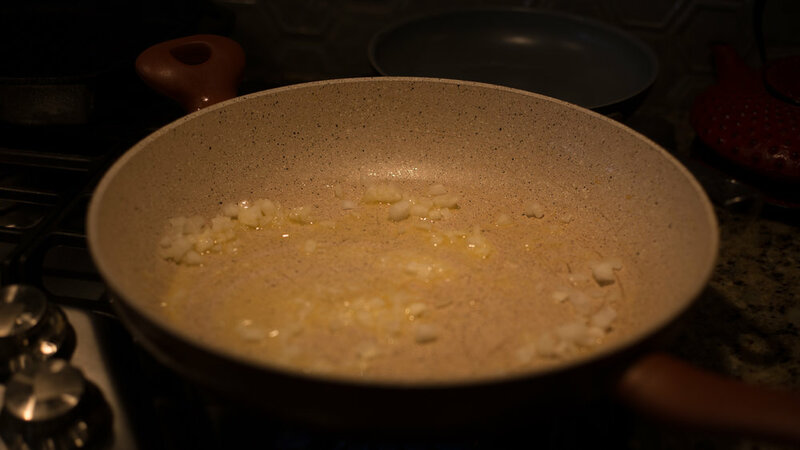 ADD white onion and sauté until sizzling. 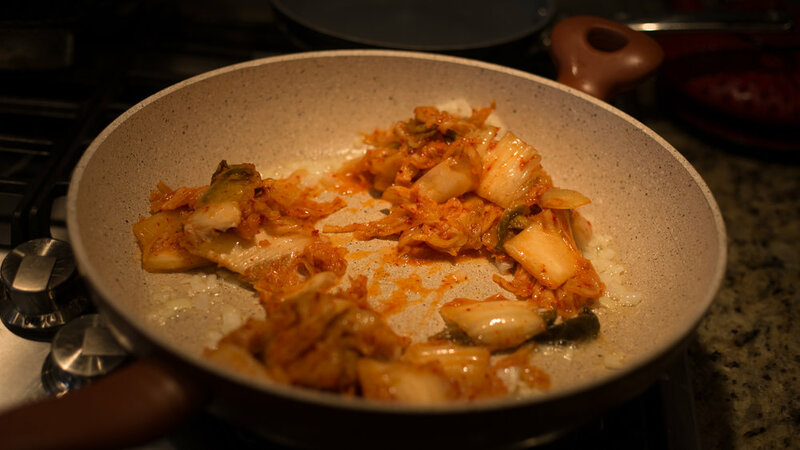 ADD kimchi and cook about 5 minutes. ADD cooked rice, remaining sesame oil and egg, stirring until egg is scrambled. Remove from heat. SERVE summer rolls with kimchi fried rice, along with vietnamese sauce, asian ginger BBQ sauce and soy sauce, if desired. A dry and refreshing, full-bodied wine with flavors of ripe apples, peach, apricot, melon, grapefruit and lemon zest melded perfectly together with a bright minerality.